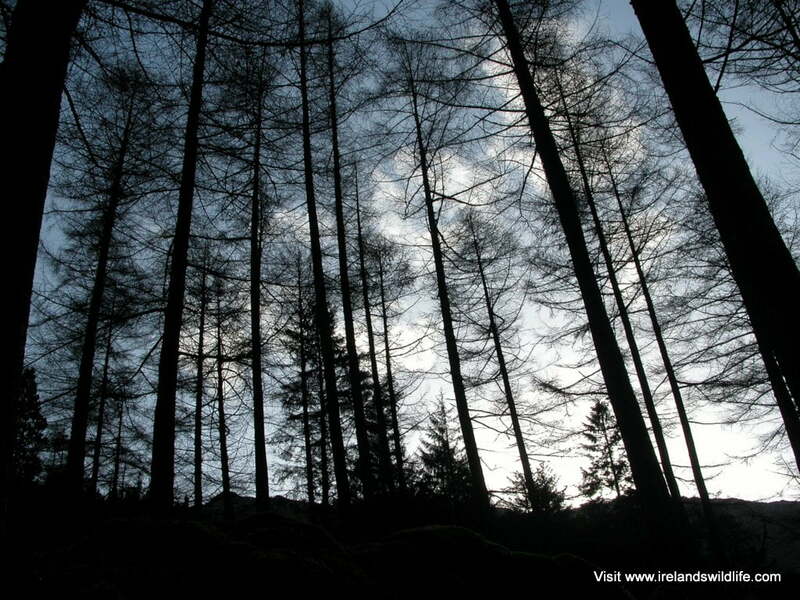 Coillte, the state-owned forestry organisation, has closed Gougane Barra Forest Park in County Cork, and plans to fell around 16,000 trees in the forest — mainly Japanese Larch — to prevent the spread of disease. The disease, known as “Sudden Oak Death” in the USA, is caused by a fungus-like plant pathogen called Phytophthora ramorum, which belongs to a group of organisms known as oomycetes or water moulds. It is related to the pathogen responsible for late potato blight (P. infestans). The forest park will remain closed for an estimated period of six months while work to contain the disease is carried out. 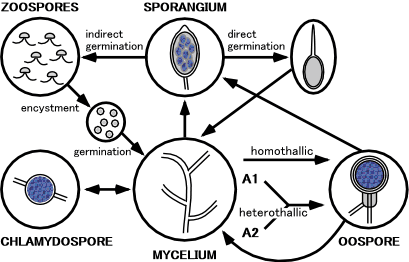 Typical life-cycle of a Phytophthora oomycete. Coillte has already felled around 150 hectares of forest in a bid to contain the disease, which spreads by means of spores distributed by both wind and water. The pathogen produces two kinds of spores — hardy resting spores (chlamydospores), which are capable of overwintering, and actively swimming zoospores. As well as natural dispersal through air and water, spores can also be carried from site-to-site on vehicles and the footwear of forest workers and recreational users. “Felling the infected trees is the appropriate measure, with the aim of preventing further spread by limiting spore production,” said Mr Ó Tuama, pointing out that if no action was taken the larch within the park would quickly succumb to the disease and would effectively act as a reservoir for further infection. Felling is scheduled to commence on Wednesday the 08 January, and Coillte plans to replant the cleared area with a variety of trees including native Scots pine and oak. Timber from the felled larch can still be used after appropriate processing at licensed facilities.